Ok, well some of them! I couldn’t figure out when to stop! And I can think of three more that I loved as I’m trying to wrap this up. Perhaps I’ll do a part 2 soon. 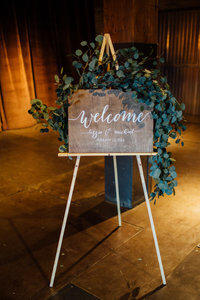 Our clients’ ceremonies are more often in non-church settings than in churches, which means we get to create fun backdrops for our couples’ wedding ceremonies. Don’t get me wrong: I love a gorgeous pair of arrangements framing a ceremony area, but creating something different from time to time is a welcome break from more traditional ceremony flowers. Revolution Brewing in Chicago is one of our favorites venues to work at. The staff is amazing, the clients are super chill, and it doesn’t take a whole lot to dress up the second floor space. And it’s very near our studio, which is a bonus! 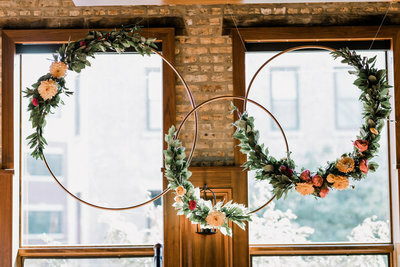 For Maggie and Tom’s wedding last summer, we created a trio of gold hoops, adorned with flowers, that we hung from the ceiling. Photo by Dan Voss Photography. 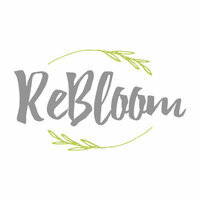 Another of our favorite venues is Greenhouse Loft. You can’t beat the natural light in this space. Their outdoor space is great for ceremonies and cocktail hours, but sometimes the weather or personal preference calls for an indoor ceremony. For Jen and Kristin’s wedding, we provided a birch arch, asymmetrically decorated with foliage and colorful blooms. Small arrangements dressed up the aisle. Photo by Greenhouse Loft Photography. 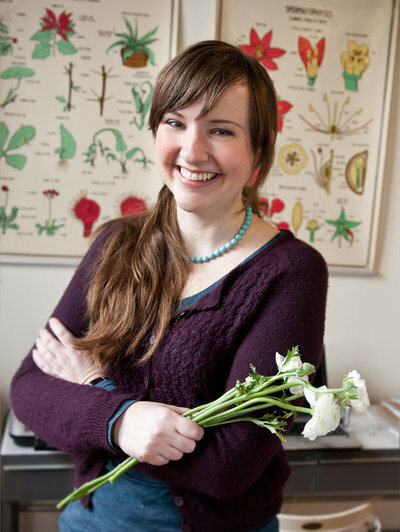 We are all for getting double duty out of the ceremony flowers! Here, the arch became the backdrop for the sweetheart table, with the brides’ bouquets displayed in vases on the table. Not shown, are the chair arrangements that we moved to a food station on the center island at Greenhouse Loft. Photo by Greenhouse Loft Photography. Yet another favorite! Bridgeport Art Center’s Skyline Loft offers a timber loft feel with amazing views of Chicago’s skyline. I love the natural light of the skylights running over the aisle. Here, we suspended over the ceremony area a loose, asymmetrical foliage garland, dotted with garden roses. Photo by Ann and Kam Photography. After the ceremony, the hanging floral installation provided a focal point over the head table. See more of this winter wedding here. Photo by Ann and Kam Photography. As a former docent for the Chicago Architecture Foundation, I geek out when we get to work in historic venues, and the Chicago Athletic Association is a prime example of a very thoughtfully restored space. Check out the ceiling details in the White City Ballroom. Here, another example of the florals serving double duty, for both the ceremony and reception. The pillar candles and garlands were “pre-used” down the aisle, were then moved to the farm tables for the reception. Photo by Cristina G Photography. 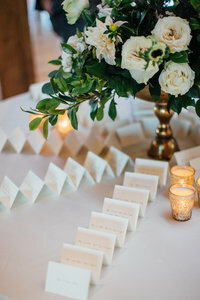 The garlands and candles were moved from the ceremony aisle to the tables, with scattered blooms, berries, and decorative votive candles added in. Photo by Cristina G Photography. For this fall wedding at Brique, a suspended floral curtain provided a backdrop for the ceremony. Photo by Cling & Peck. Individual blooms appeared to float in front of a brick wall. See more of this fall wedding here. Photo by Cling & Peck. At Chicago’s Columbus Park Refectory, the outdoor pavilion’s arch and columns frame the ceremony area. For this September wedding, we added foliage, vines, and flowers to each row of chairs along the aisle. Photo by Redwall Photo. A pair of garden urns was placed on each side of the aisle, framing the entry to the aisle. See more of this late summer wedding here. Photo by Redwall Photo. At Salvage One, we used the same garden urns, along with crates, lanterns, and vines to create a vignette for the ceremony area. See more of this summer wedding here. Photo by Kate Weinstein. The sweetest nature-inspired chuppah at Greenhouse Loft was draped in foliage and dotted with flowers. Small arrangements hung from the chairs along the aisle. Photo by Jamie + Eric Photography. This birch arch, decorated with an asymmetrically placed garland, a cluster of flowers in one corner, provided a focal point for the ceremony. Photo by xo azuree. Foliage swags and pillar candles softened the aisle. See more of this fall wedding here. Photo by xo azuree. We added foliage swags to the pews, and foliage garland across the marble railings at the altar at Assumption Catholic Church. See more of this wedding here. Photo by Sally O’Donnell Photography. We love using our birch arch at Greenhouse Loft, because birch trees are an element of the garden plantings. See more of this wedding here. Photo by Studio Finch. At 19 East, clean, white, light and bright is the way to go! 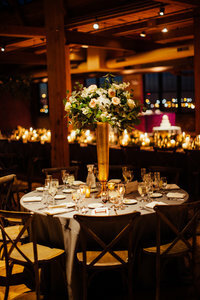 A cluster of pillar candles complemented a pair of spring ceremony arrangements placed on simple white pedestals. Photography by Tim Tab Studios.